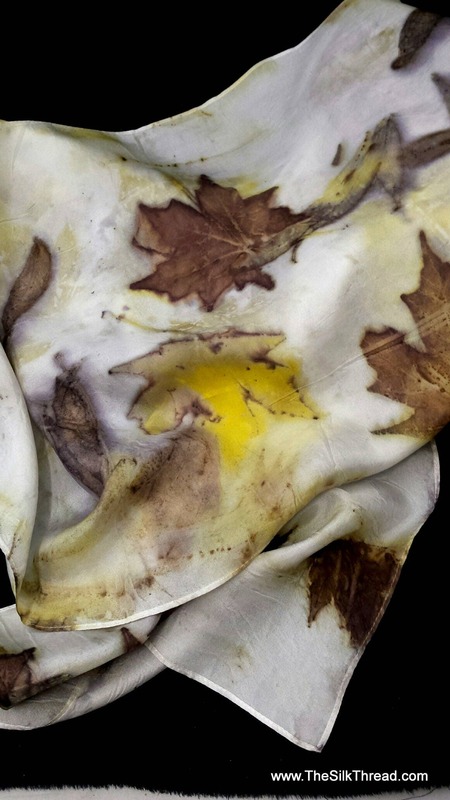 A lovely eco-printed or botanically printed, one of a kind silk scarf. The beautiful bold design comes from maples and jonquil blossoms! The striking combination of natural tannin colors of copper and bronze combine with the bold yellow that just pops from the surface design. The scarf is LARGE! It is a generous 14" x 72" pure silk making it suitable for a hajib or light wrap My all natural technique creates detailed shapes and colors of the actual plant matter that I use.